Kim provides leasing and investment support to a wide range of clients and commercial properties and is actively engaged in development services. In addition, Kim holds the position of Director of Market Research and is responsible for managing the Research Department in the accurate and timely aggregation, analysis, interpretation and reporting of commercial real estate data and trends. Kim began her career in commercial real estate in 1990 with Compass Alliance Real Estate Services. Prior to joining Todd Gold at Mission City Properties and later following him to Koontz McCombs Realty and, eventually, REOC, Kim was employed by Baxter Southwest Corporate Realty Services/Darren Casey Interests (1992 – 1999) where, in addition to her primary role as Director of Market Research, she also played a supporting role in both client and development services. For more than two decades, Kim's careful monitoring and analysis of leasing and sales activity in the local office, retail and industrial markets has earned her a reputation as the chief source for accurate and comprehensive market data. Kim's position as Director of Market Research has given her the opportunity to be involved in some degree with nearly every lease and sale transaction handled at REOC. Clients turn to Kim because of the experience and extensive market knowledge she lends specifically to every project. Kim serves her clients with insightful commentary on market activity and, more importantly, the ability to offer an educated assessment of where the market is headed. Her valuable research and perspective has given Kim the opportunity to speak at various real estate industry forums and her data is used extensively by many organizations including the Greater San Antonio Chamber of Commerce, Texas A&M Real Estate Center, and the San Antonio-South Texas CCIM Chapter. 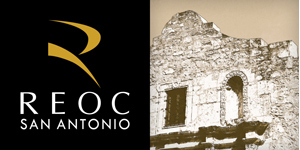 REOC San Antonio is a licensed Real Estate Broker in the State of Texas operating under REOC General Partner, LLC.